There is a lot of Twitter that is silly, mad and inconsequential. There are even parts that are downright cruel. But where I find the magic (and what keeps me going back for more) are the human connections. I’m not just talking about some of the fantastic bloggers that I now stalk (@foodstinct I’m looking at you), I am talking specifically about book recommendations and reserving food. 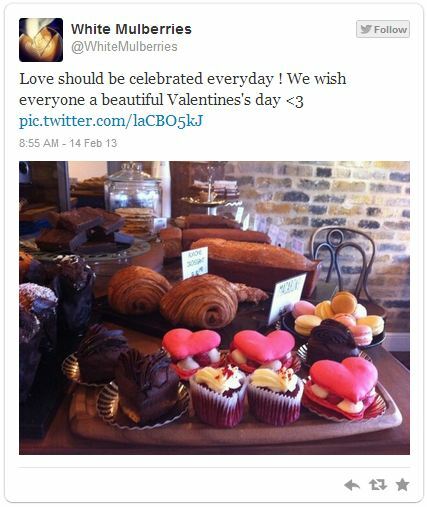 Today one of my favourite cafes, White Mulberries in St Katherine Docks, tweeted this picture of their Valentines Day offerings. Sitting at my desk and drowning in a spreadsheet at the time this looked like heart-shaped holiday heaven. So I tweeted and said I would be down later that afternoon to try some. Concerned that they would all sell out, White Mulberries tweeted back saying they would save one just for me. 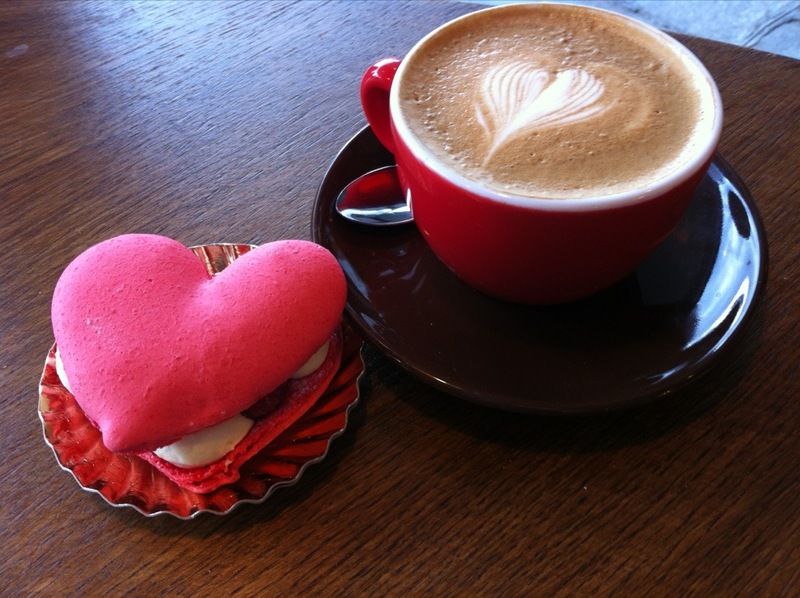 Hey presto, that afternoon I was eating a heart-shaped raspberry macaroon in the sunshine. Thanks Twitter. 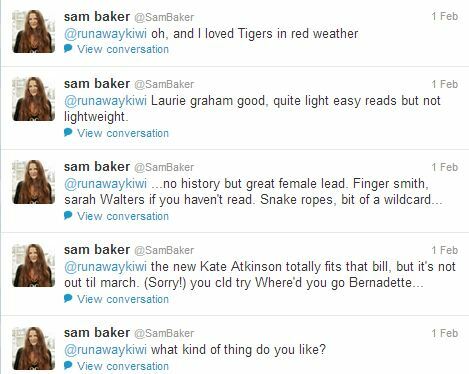 Thanks to Sam Baker’s tweets I am half way through Tigers in Red Weather and loving it. Silly, mad, inconsequential and cruel; Twitter has given me treats in the afternoon and book recommendations from an idol. Connections, it is all about connections. um…. was that you I could hear scratching around my bedroom window last night? awkward. Damn, I hoped you didn’t notice…. It was all that moaning about Monday that gave you away. Or was that Tuesday? They are both utterly evil. Bring on Thursday and Friday – they are a nice couple.